When the Israel Davis Cup team was penalized for refusing to compete on Yom Kippur, "Hiddush" advocated for freedom of religion for Israel. 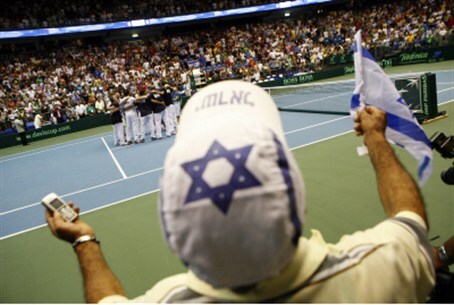 On Thursday, a press release was sent by Hiddush, an organization for religious freedom and equality, to the International Tennis Federation to request that they respect the decision made by the Israel Davis Cup team not to compete on the Jewish holiday of Yom Kippur. The team was scheduled to play against Belgium on Yom Kippur for one game out of a play-off series. The team's management informed the World Tennis Association that the Israeli team will not be able to compete that day and requested an alternative date. They were penalized for deferring the game and were subject to pay the Belgian team 10,000 euros. He continued, "It is inconceivable to imagine that the Belgian Tennis Association would have to compensate their opponents in order to move a match from Christmas or any other principal religious holiday. This is due in great part to the reality that one would never consider scheduling a match on Christmas. Can we not expect the same treatment for all of the world's major religions?" In past circumstances where a sport event took place on Yom Kippur, American Jewish baseball legends Sandy Koufax and Hank Greenberg refused to play during the World Series in 1965 and 1934 and were not subject to any penalization. Regev stressed in the press release that, "This international competition should be a badge of honor for multicultural participation in sporting events, but unfortunately the irresponsible handling of the scheduling conflict and consequent settlement has tarnished the Federation's reputation in the eyes of advocates for freedom of religion and conscience." After sending the letter, Rabbi Regev emphasized the need to internationally respect religious freedom and hoped that the Federation would reconsider their decision and change their policy in the future.